There's a new freebie on cereal boxes! 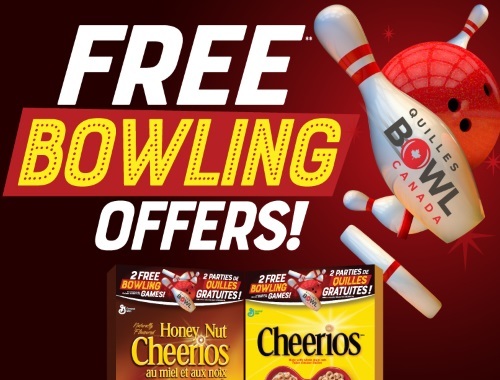 Look for and purchase specially marked General Mills Snacks and Cereals and cut out the coupon from the packaging for a free bowling offer! Check online for a bowling centre near you at BowlCanada.ca. See participating packages for more details.